Wow, it has been WAY too long since I last posted here. I started my own personal blog a little while back, and I got all excited about that. 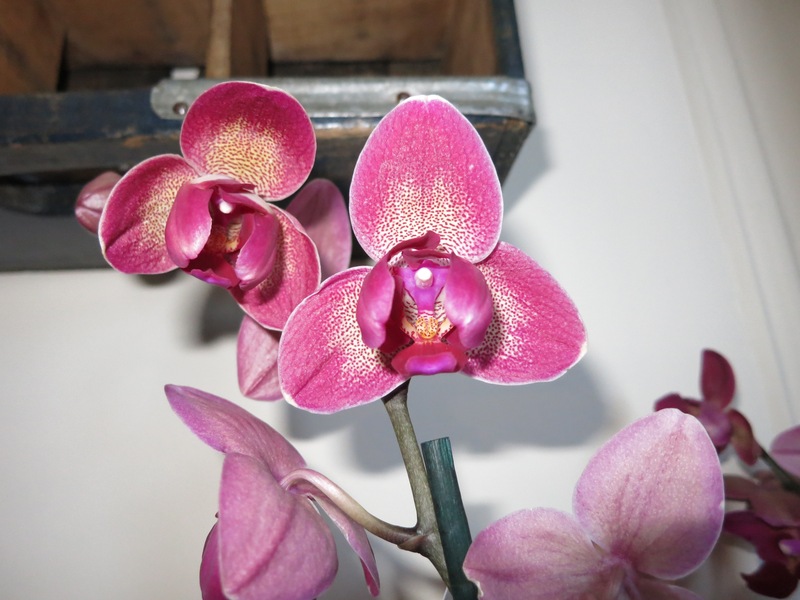 I think I had burned myself out on writing about orchids after doing quite a bit of freelance writing about them, and I’ve needed some time to reclaim that energy. I don’t think I’m totally there yet, but I do have a couple very cool things to share with you (one of which I’ll save for a separate post). 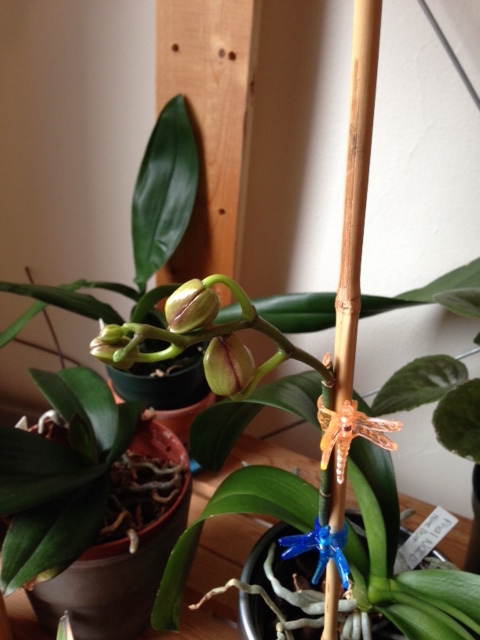 Quick Update: My First Orchid Bloom of 2015! 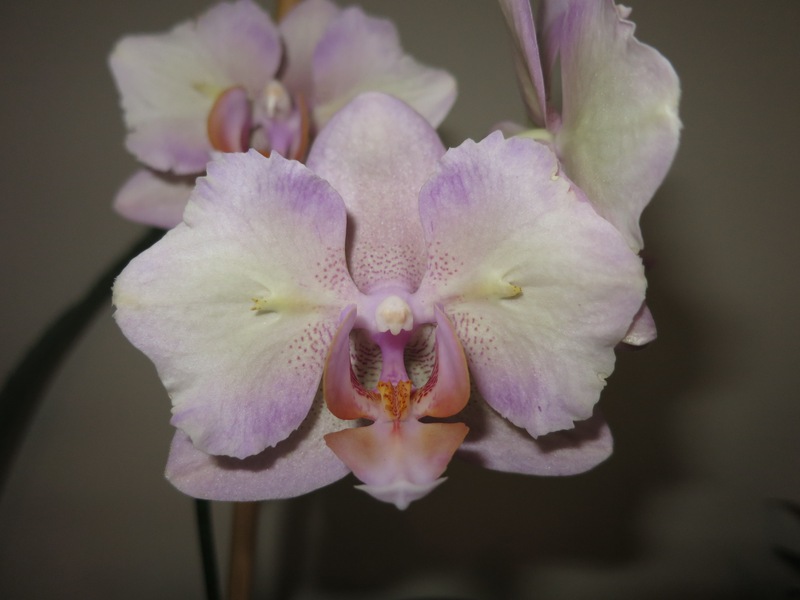 In my last post I shared photos of a couple of my Phals that are in spike. 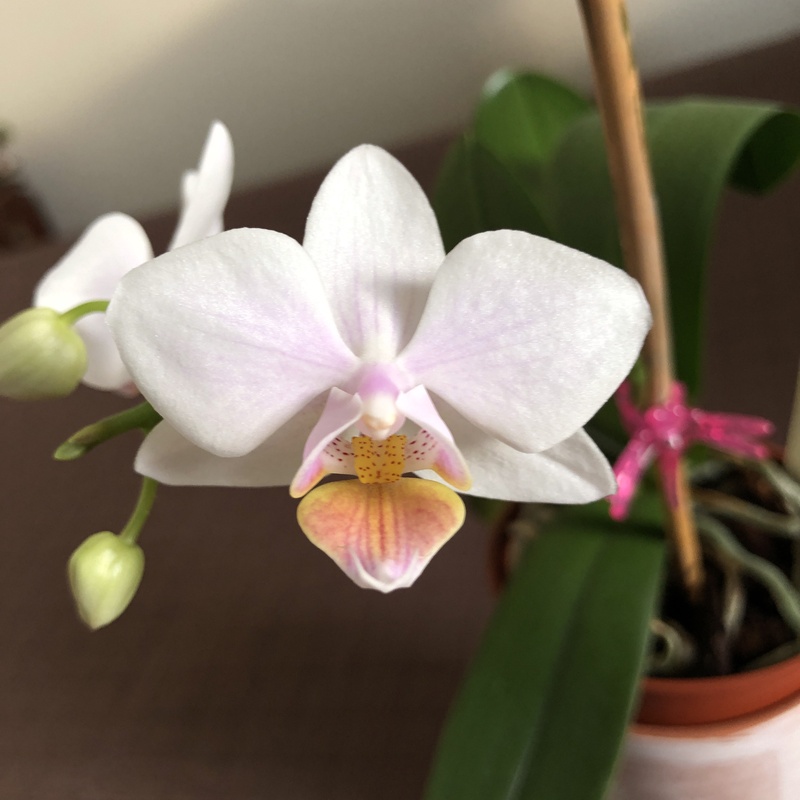 Well, my peloric Phal has finally begun to bloom and it makes me so happy! 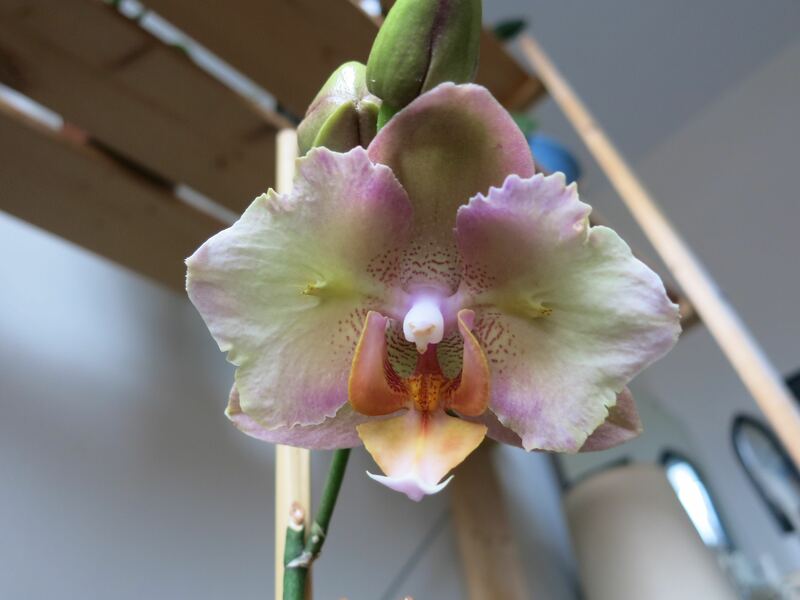 These blooms just never get old for me. Happy New Year, everyone! I have to say, I am so glad to see 2014 go. The second half of the year was not the best. Despite some really fun stuff (Comic-Con, our honeymoon), July through the end of the year also involved an inflammatory bowel disease diagnosis for me (fun times…but it’s ok—I’m actually doing well right now), family drama, and plenty of stress to go along with it. All of which also left me less than motivated to blog, so that’s partly why you’ve seen fewer posts from me. Needless to say, I was thrilled when the clock struck midnight on Wednesday because it signaled a fresh start.